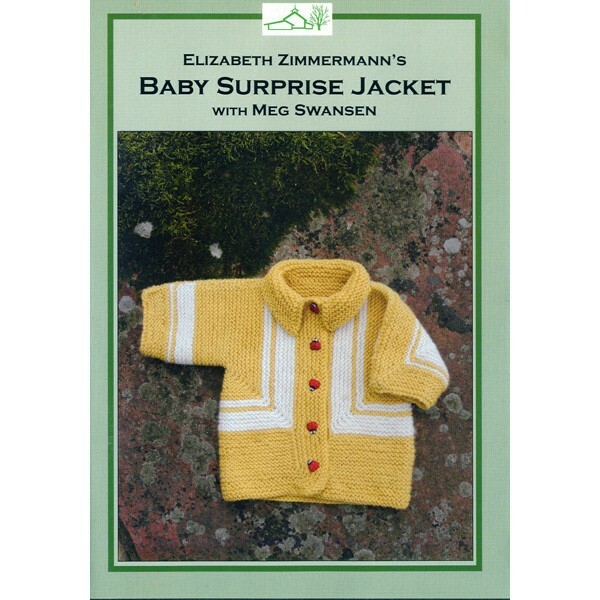 One of the most unique & ingenious of all of Elizabeth Zimmermann's designs, the BSJ was introduced in 1968, and has grown in popularity ever since. Meg Swansen guides you step by step through the jacket construction, including: long tail cast on, double decreasing / increasing, adding colors, baby buttonholes, casting off in purl, and sewing a seam / darning in ends. With bonus material of: a collar, a 'continuous line' throughout the jacket, a matching bonnet, knitting small circumferences on 2 circular needles, provisional cast on, and I-cord techniques. 1 hr 20 mins. High-speed Wi-Fi is necessary for the best streaming quality. Watch a sample of the streaming video below.